I am so super excited today as I write this post. 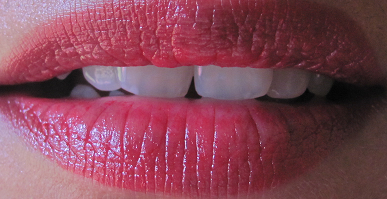 I just got back to my room after clicking some pics of the lippy I am going to review. Today’s review is about Loreal Color Riche lipstick in studio secrets shade. Product description: Color Riche lipstick combines luxurious color with lasting hydration for an ultra-glamorous look. This lipstick has a unique formula of Royal Jelly and Shea Butter to help keep lips smooth and soft all day long. The unique jelly formula melts onto your lips to provide nourishment & replenishment. The saturated pigments provide rich and lasting color to your lips and makes them shine like a gloss. My Review: I just adore the shade. It is a bright shade that comes in between a red and pink shade. And I am very sure it will suit everyone and every skin tone. 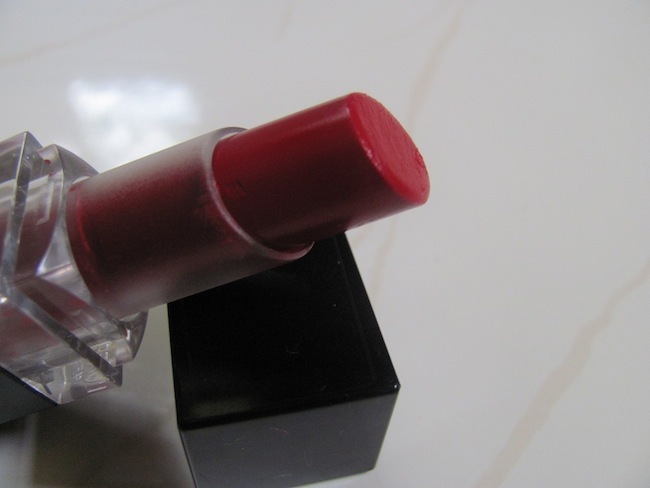 The lipstick is shiny in nature and glides on super easily. It does not stay for long at all. Hardly stays on for over 2 hrs but looks real pretty on lips and hydrates them well. It bleeds a little and is quite transferrable but it imparts an amazing shine to lips and you don’t need a gloss over it. While clicking the pics, I noticed something. A bird who had made a nest of twigs on the small fan in my porch is carrying some food in its beak. I got a little curious. This bird had laid two colorful eggs in the nest few days back. 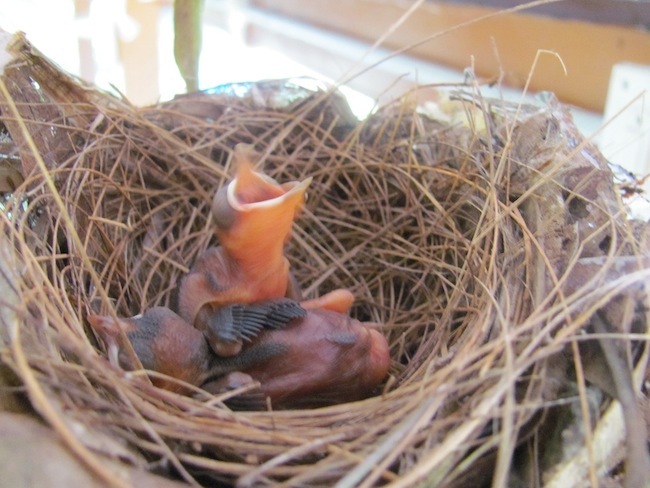 I jumped on to catch a glimpse inside the nest and saw two little, super cute, bare, raw baby birds – hatchlings! I am very thankful to God that He lets me witness these little yet wonderful wonders of his world. the colour is gorgeous, but sad that the staying power is bad…. 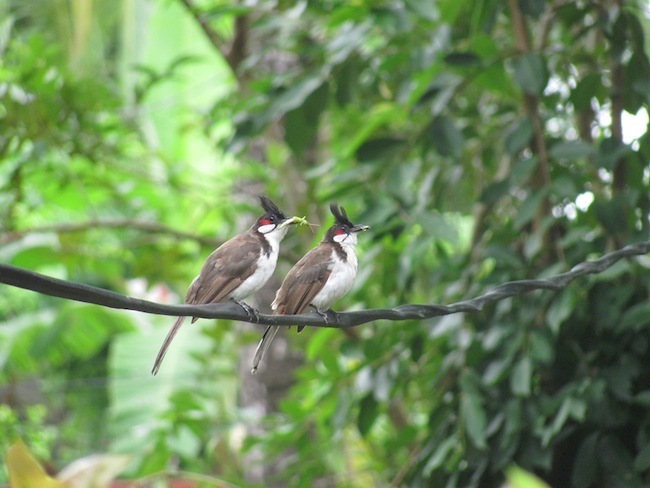 and love the piccys…the birdies are sooo ute! Yeah.. the color is indeed lovely and I too wish they could stay a lill longer on lips. same here Ila.. I dont like the brand for its extensive use of chemicals and animal testing but couldnt resist buying it for the shade..
Ahhh..the baby birds are cute cute..lovely..
yeahhhh and watching them was even more lovely..
Hey Plabita.. I think anyone can pull this color very well.. you try it once.. and birdies…. OMG.. they are a blessing to watch..
Wow Surabhi, loved the lip swatches! And the babies are soooo cute! Thanks for sharing! Thankooo Jomo.. and yeah.. I do feel I am lucky to live in such a beautiful place though sometimes I feel a bit lonely here..!! These hatchlings are getting hair/wings on their body. will share the pics when they get all their wings..
awsome pictures of the hatchlings and the eggs.. really cute, but its too the lipstick is too expensive.. plus doesnt stay for long… 🙁 can u suggest some nice colors and brands of lipstics for wheatish complexion. Loved the shade on you and what wonderful pics!